Christmas season is nearing, which means that it is likewise the season for Christmas gatherings with friends and family. 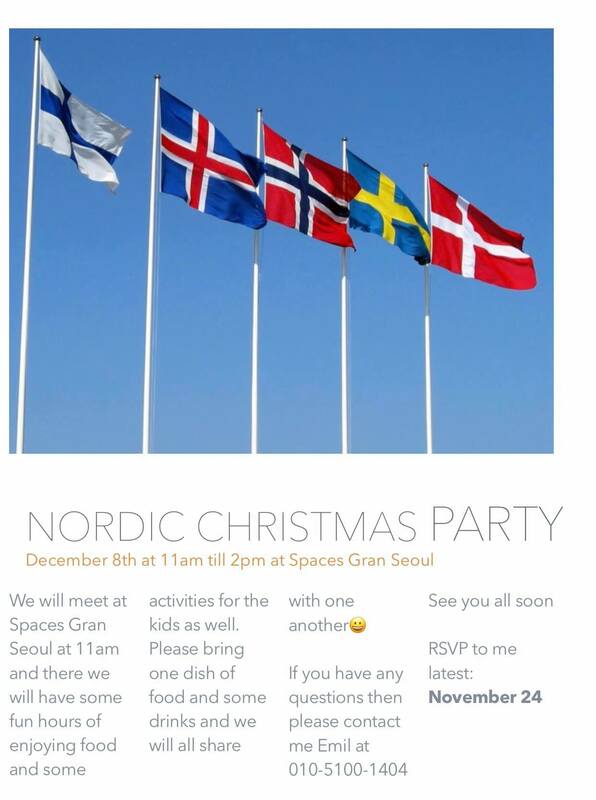 For this occasion, Nordic Club Seoul has decided to host a Christmas party for all those who miss the spirit of Christmas! Join us for an afternoon of inspiring speeches, delicious food, and the opportunity to socialize with new people!